Rev. 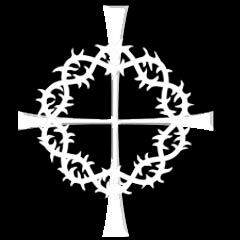 William Carpenter, CSV, died Sat., Dec. 6, 2009. He was 66. He was born in Peoria, IL, the son of James and Mary Eileen, nee Sparks, Carpenter. He was preceded in death by his parents. He is survived by his brothers J.D. (Zoe) Carpenter of Goodyear, AZ and David (Maurie) Carpenter of Peoria, IL, his nephews and nieces Brad Carpenter, Cindy (Steve) Good, Kevin (Shannon) Carpenter, Sara (Steve) Elkins, Dan (Carrie) Carpenter, several grand nephews and nieces, and his aunt and uncle, Lyle and Loretta Sparks. Fr. Carpenter graduated from Spalding Institute in 1962 where he was taught by several Viatorians. 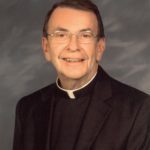 He earned a Bachelor of Science in Sociology from St. Ambrose College in Davenport, IA (1972); a Master of Divinity from Catholic Theological Union (1976); and a Master of Arts in Pastoral Studies from Loyola University (1983), both in Chicago. Fr. Carpenter received his habit as a Viatorian on Sept. 7, 1963. He pronounced his first vows on Sept. 8, 1964, his perpetual vows on Oct. 21, 1970, and was ordained to the priesthood on Apr. 30, 1977. Fr. Carpenter spent his first year of ministry as a young brother assisting with retreats at Viatorian Villa in McHenry, IL. He served as a teacher at Saint Viator High School in Arlington Heights, IL and as a teacher and counselor at Bishop Gorman High School in Las Vegas, NV. 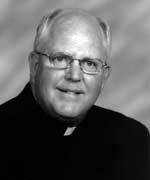 He was a parochial vicar at Maternity BVM parish in Bourbonnais, IL and St. Viator parish in Las Vegas. During these assignments, he served as chaplain to the Bourbonnais Village fire and police departments and as chaplain to the Las Vegas fire department. He was appointed pastor at St. Jude parish in Rochester, IL, St. Viator parish in Chicago and again at St. Jude parish. Fr. Carpenter served the Viatorian Community as the director of mission appeals, director of priestly formation, and as provincial councilor. Visitation was on Fri., Dec. 11, 2009 at Lauterburg and Oehler Funeral Home in Arlington Heights, IL from 4:00-7:30 p.m. A wake service was held at 7:30 p.m. The Mass of Christian Burial was celebrated Sat., Dec. 12, 2009 at St. Viator Church in Chicago at 11:00 a.m. preceded by a visitation beginning at 10:00 a.m. Interment was at Queen of Heaven Cemetery in Hillside, IL.